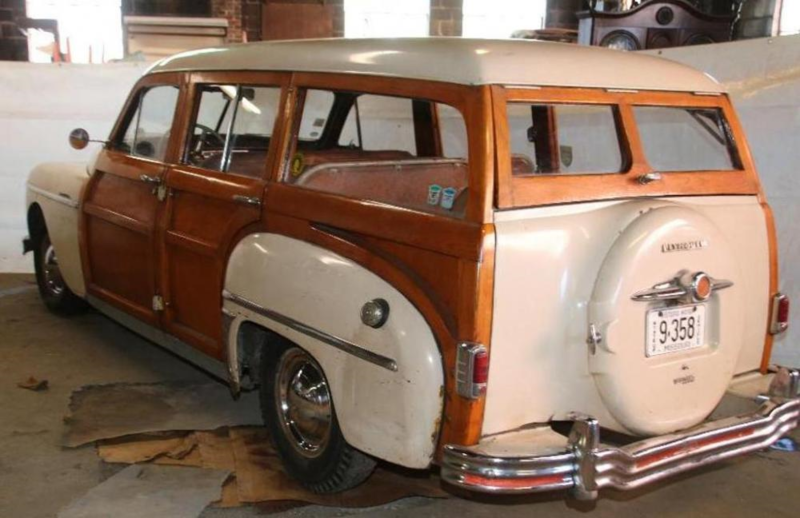 I have always liked the 1949 MoPar split tailgate window woody wagons... even more so on the big body cars. That looks like it has real nice original wood too. Nice score! I passed on a copper colored 1950 Dodge woody in about the same condition for $500.00 back in 1980 or so. It was missing a rear door and I figured I would NEVER find another. I am still kicking myself on that missed opportunity. OutSTANding! What a great looking wagon! Thanks for the encouraging words. I couldn't pass it up as I have ALWAYS liked the 49 Plymouth & Desoto wagons. As a matter of fact my very 1st car was a 1949 Plymouth 2-door sedan. It was originally a pea green but I had it painted - guess what color? Yep, the cream color of the Wagon. So I guess I have come full circle now and MAYBE this will end the "sickness" I have when it comes to cars - but I doubt it. Great find, Joe. I know you will have fun with it. Send us more photos as time permits. so that whole tailgate goes down? awesome! 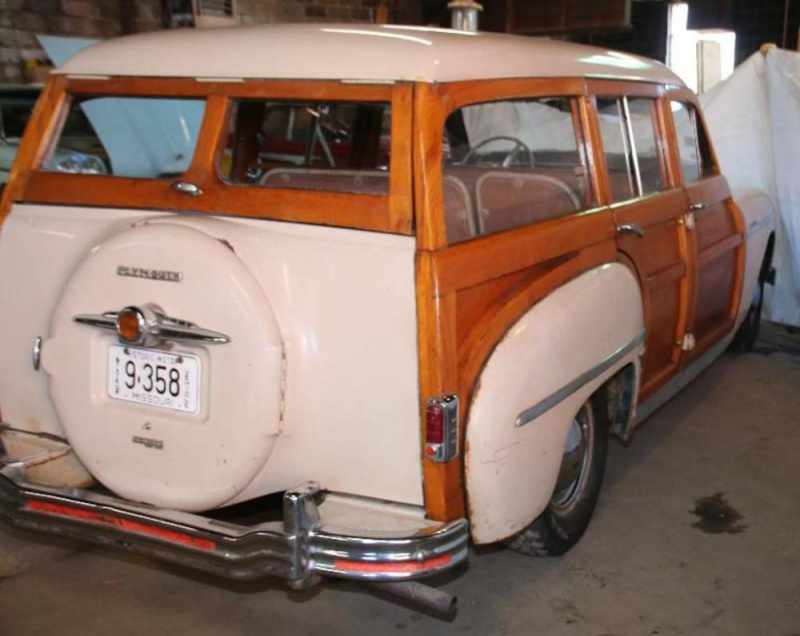 nice Woody wagon. 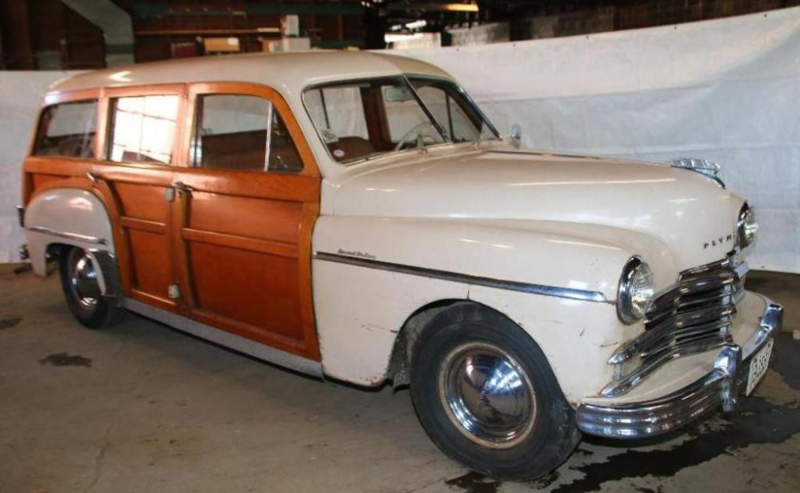 Thanks for all of the positive remarks regarding the Plymouth Woody. I am expecting to have it "home" sometime in early May. Great find, you're going to love it!